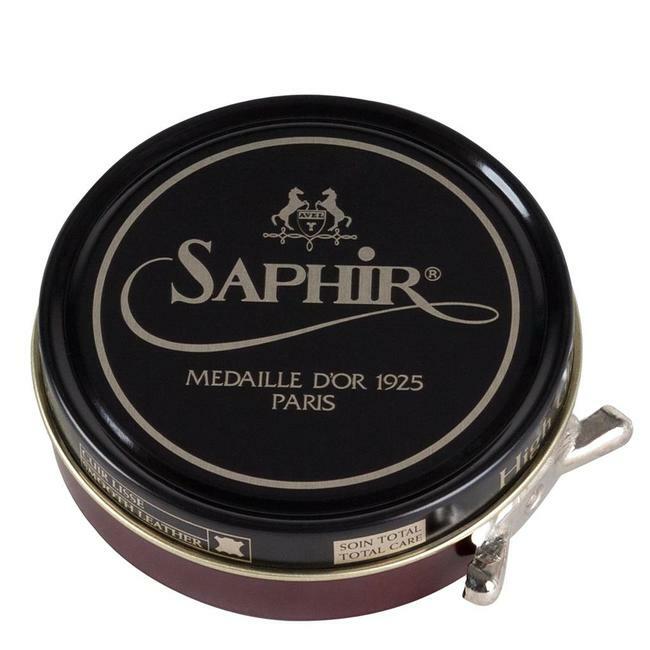 Saphir Médaille d'Or chamois cotton cloth is made from a soft organic cotton. 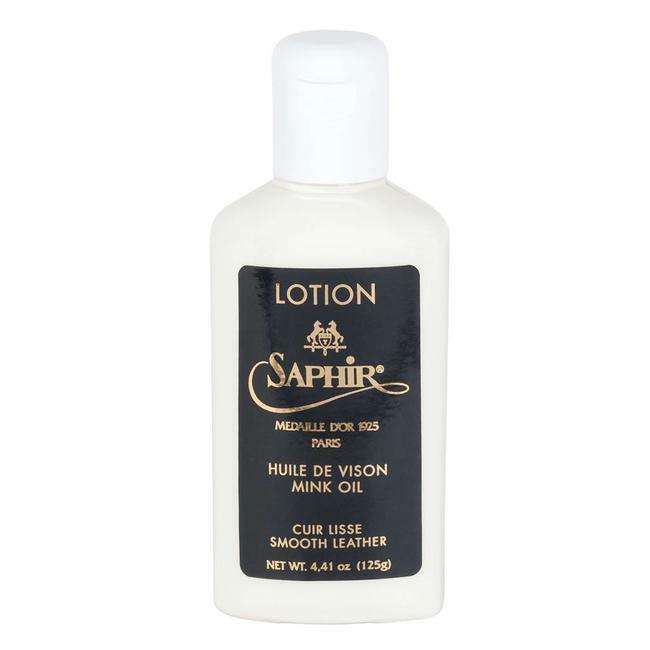 It can be used to buff your shoes in a high gloss shine or for the application of shoe polish. 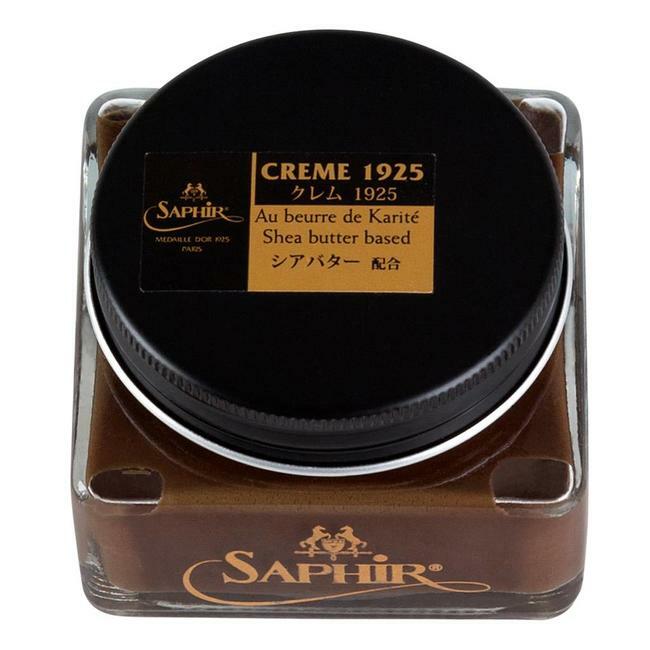 Read more..
Saphir Médaille d'Or chamois cotton cloth is made from a soft organic cotton. It can be used to buff your shoes in a high gloss shine or for the application of shoe polish. 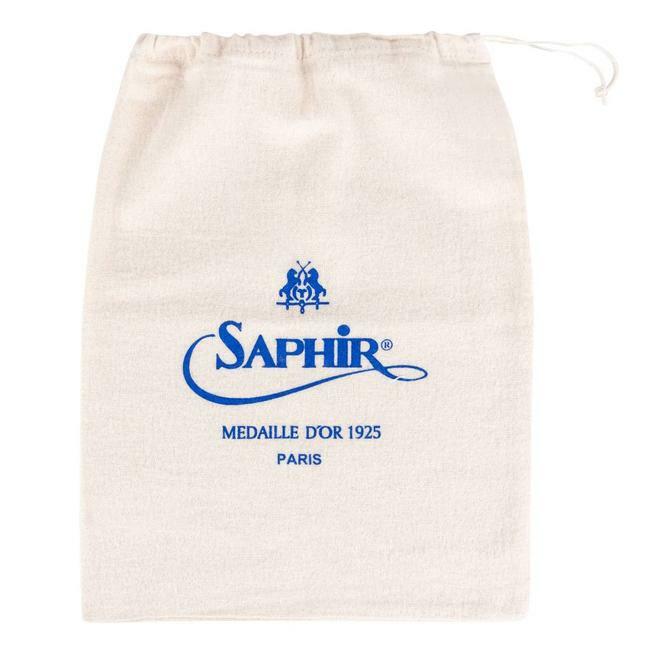 Each cloth is embossed with the Saphir Médalle d'Or logo and has a blue stitched edge.